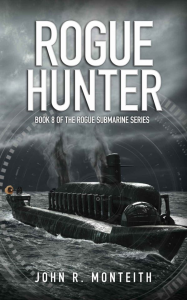 Book 2 of the Rogue Submarine Series… Rogue Avenger (2005), Rogue Betrayer (2007), Rogue Crusader (2010), Rogue Defender (2013), Rogue Enforcer (2014), and Rogue Fortress (2015). A Chinese blockade of Taiwan. A betrayed CIA operative who's beginning to doubt her own loyalties. 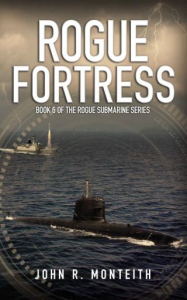 A rogue Pakistani submarine commander bent on nuclear destruction. The stage is set for genocide and global catastrophe. Still a wanted man after the theft of a U.S. ballistic missile submarine, renegage ex-naval office Jake Slate finds himself back in the thick of the action. 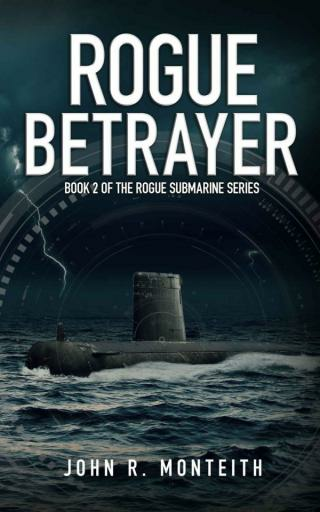 Partnered with international arms dealer Pierre Renard, Slate and a crew of mercenary submarine sailors must catch a madman before he can trigger a nuclear war. 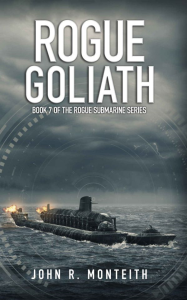 This novel is part of the Rogue Submarine fiction series, launched in 2005 by John Monteith, a former military officer and naval warfare instructor. Beginning with Rogue Avenger, the books are titled in alphabetical order for ease of reference. Although the stories are best read in sequence, each installation is written for enjoyment as a standalone adventure.